This dream of the perfect sports car is what makes every Porsche. That’s why a Porsche is much more than a car. 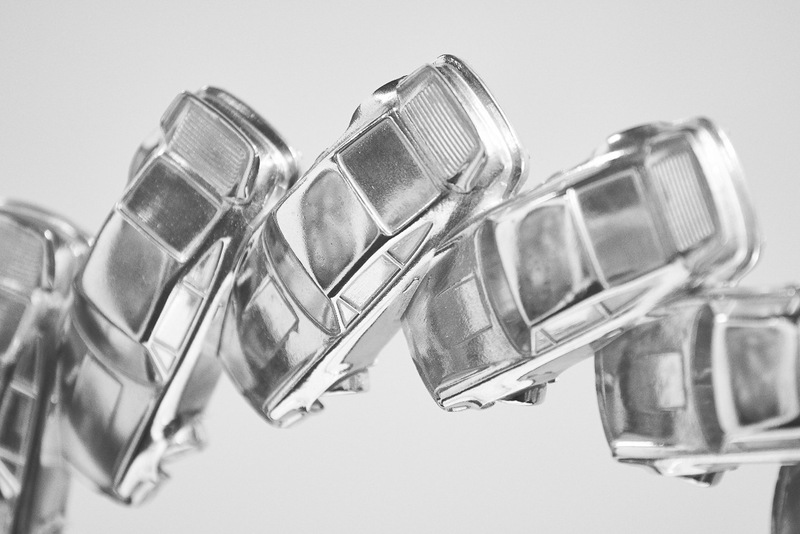 It is a cult object that has been driving the pulse of automotive lovers around the world for 70 years. At the heart of this acceleration is the tachometer display and central interface between driver and vehicle. 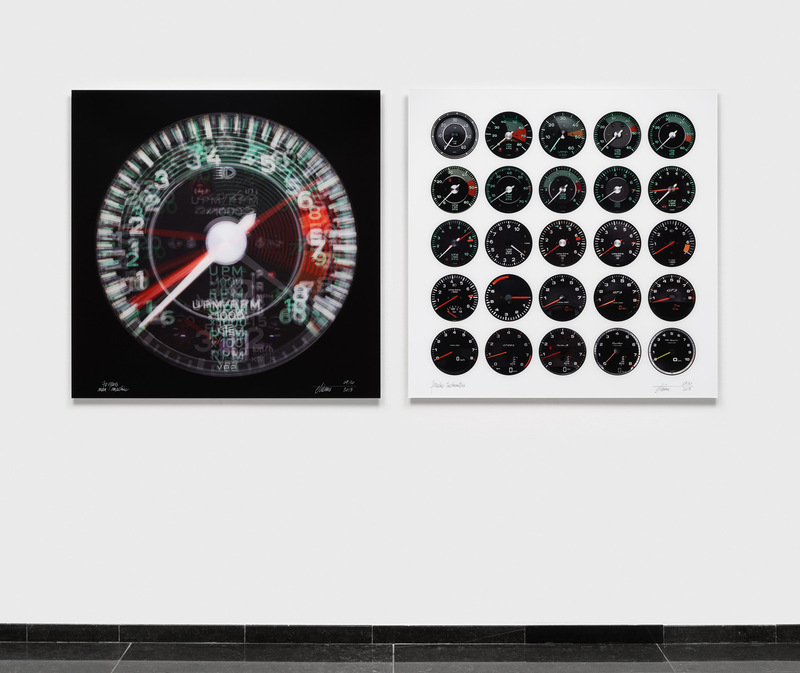 The French artist Etienne Salomé pays tribute to the history of this car icon in a tribute to the acceleration with two unique works of art: „70 Years Man Machine“ and „Porsche Tachometer“. 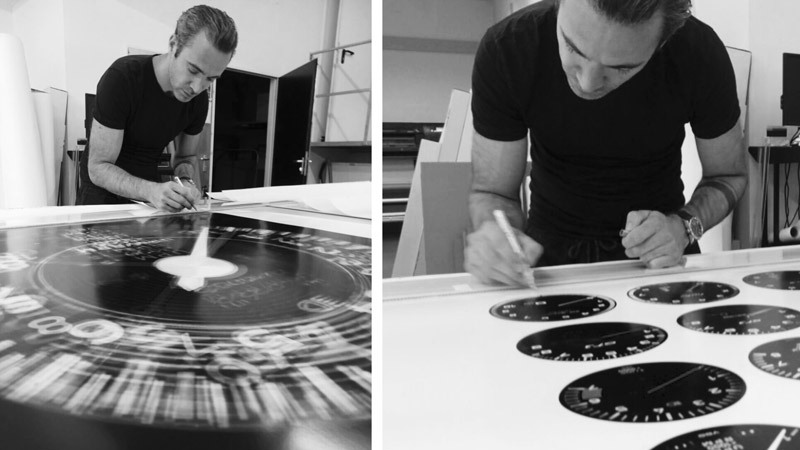 These works were created in a strictly limited edition of 70 copies. 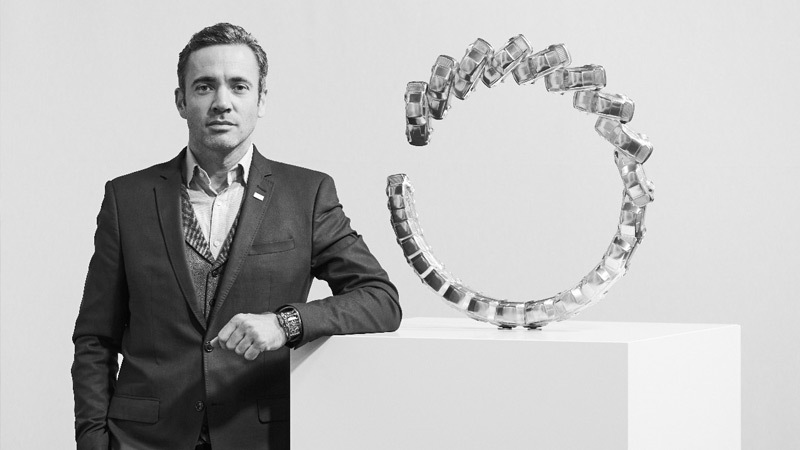 The Berlin-based car designer, artist and automotive enthusiast Etienne Salomé was born in Paris in 1980 and grew up there. 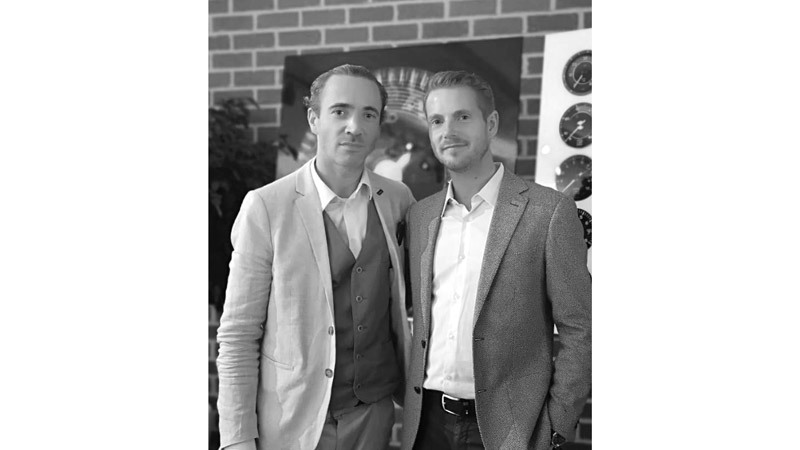 After graduating from the Royal College of Art in London, over a decade as a designer, he has contributed significantly to the appearance of another design icon. 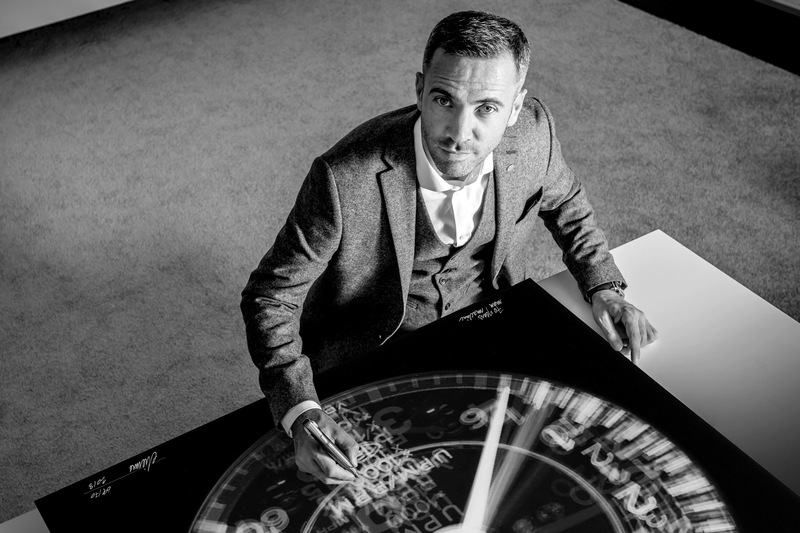 For his job, he is responsible for the interior design of the fastest and most expensive production vehicle in the world – the Bugatti Chiron, and lately the exterior of the most expensive new car in the world the “La Voiture Noire”. 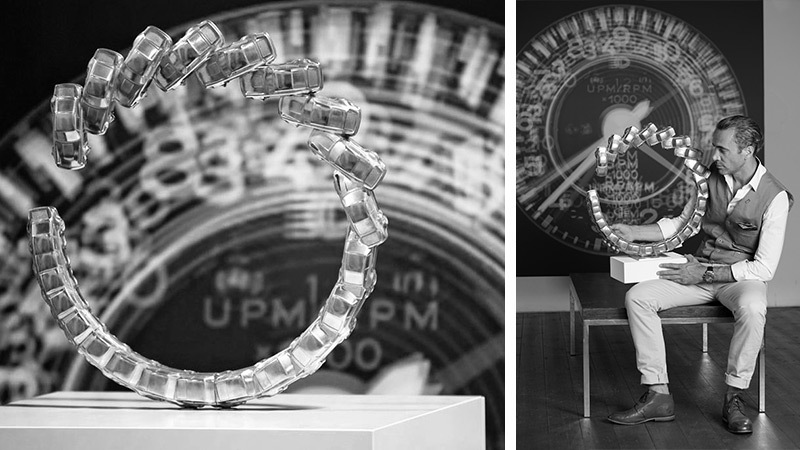 Salomé’s artistic ambitions lead to a cooperation with the world-renowned sculptor Bernar Venet. Together they designed a completely individual interior and exterior for the Bugatti. Literally becoming a moving canvas. For 70 years everything at Porsche has revolved around the fascination of sports cars. Distinguishing feature in the cockpit of this fascinating legend is always the tachometer. 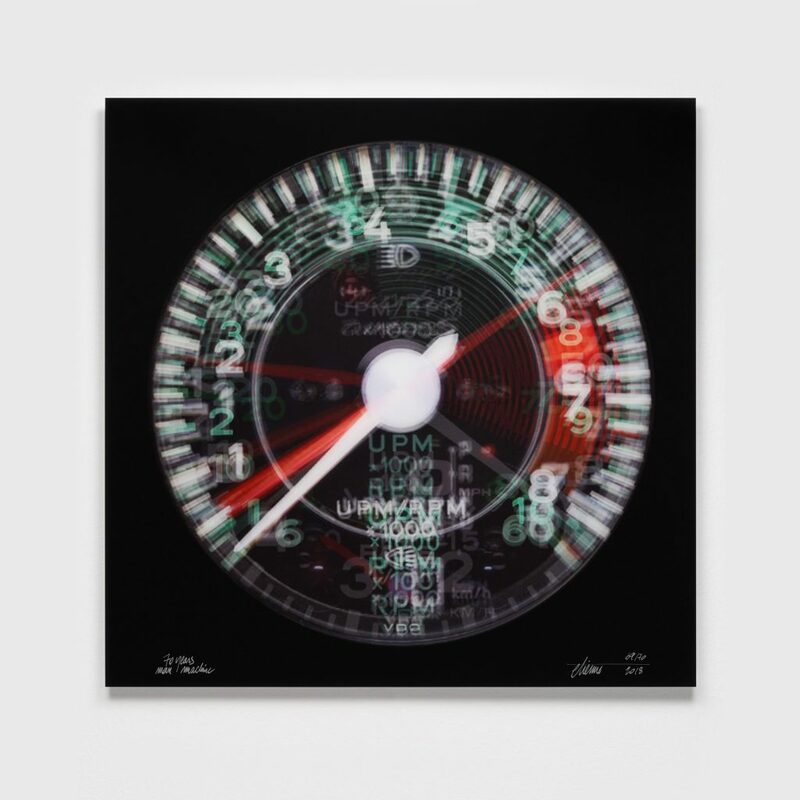 It measures the engine revolutions per minute – it is time and accelerometer and connects driver and vehicle. It gives the driver the essential information as to when to switch. Speed, gearshift and propulsion lead to a symbiosis between man and machine and the ultimate driving experience. 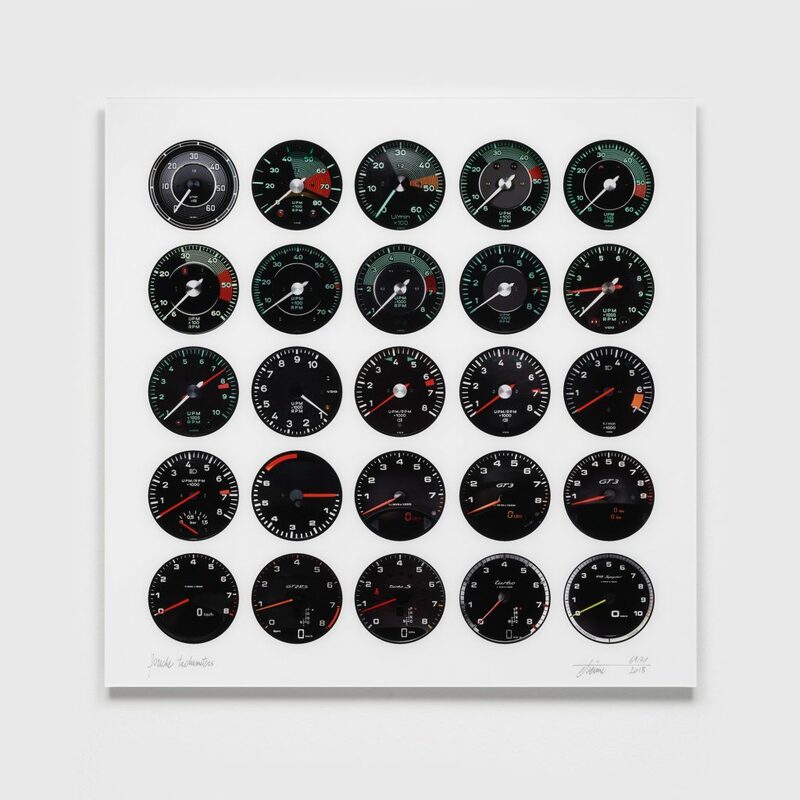 Other manufacturers place it mostly subordinate to the speedometer – at Porsche, it is always the centerpiece. So this measuring instrument stands for 70 years technical evolution in sports car construction. On the threshold of digitization, this analog instrument is also the epitome of an era in vehicle construction. 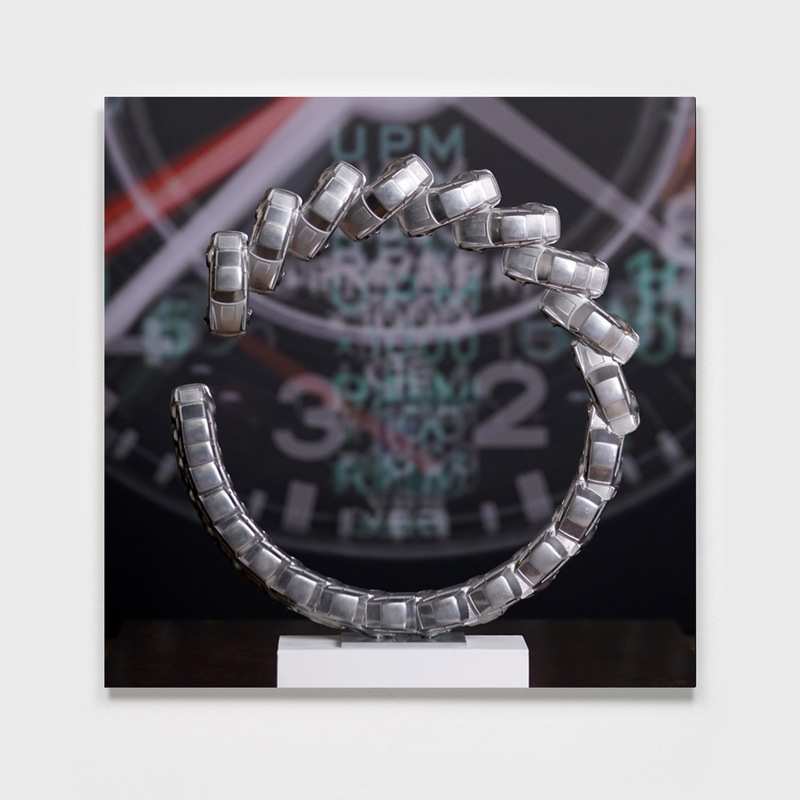 It symbolizes not only the acceleration of machines, but also the hearts of car enthusiasts. 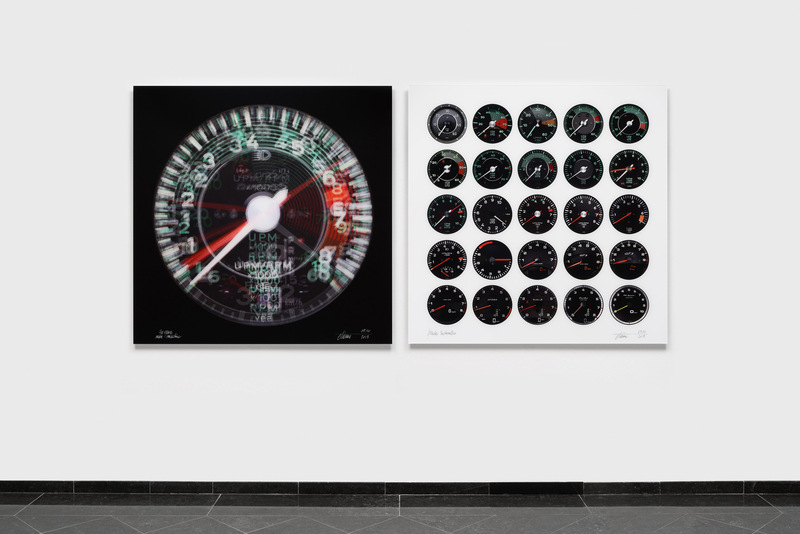 Etienne Salomé travels the world to museums, festivals such as the legendary Pebble Beach and to Porsche owners for the work „70 Years Man Machine“ and collects original photos of cockpits on all Porsche models. The result is a singular picture – consisting of 35 superimposed tachometers. 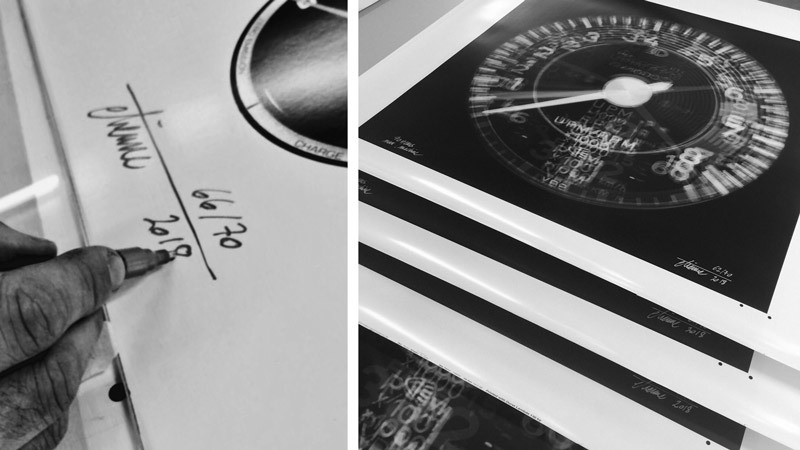 It shows the 70-year evolution of the essential accelerometer and time gauge. 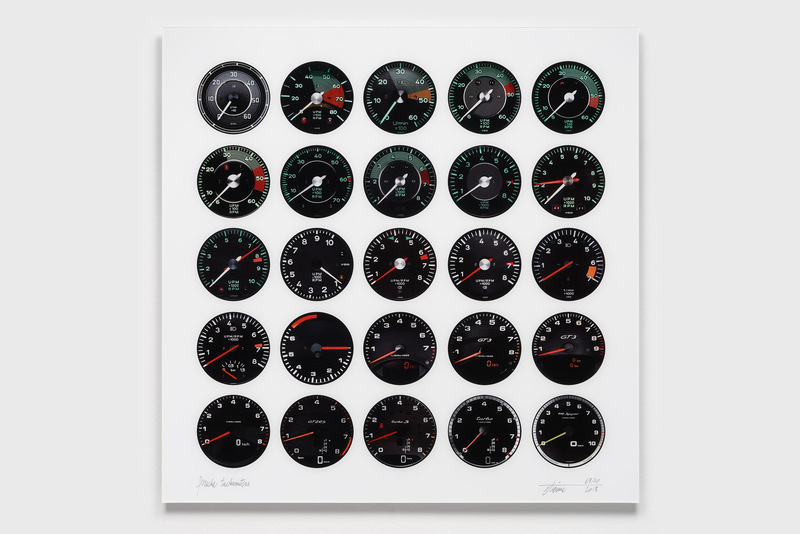 His second picture „Porsche Tachometers“ shows the collection of essential speedometer designs on a white background. 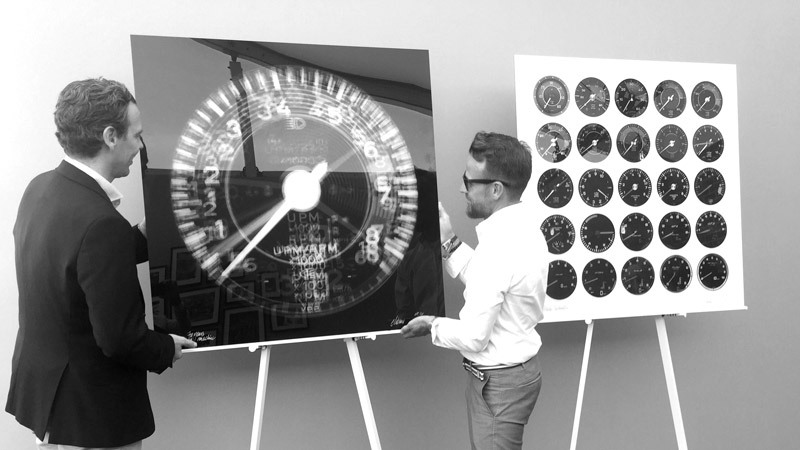 The aesthetic consistency of the design and development of analogue Porsche speed watches is testimony to a unique evolution in the production of spot cars. 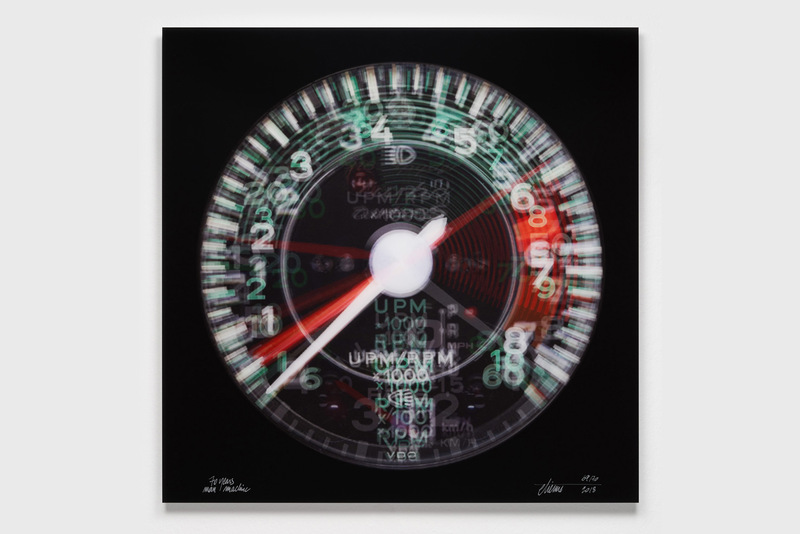 Thus, Salomé breaks down the past and present of Porsche to an essential symbol – it stands, as no other, for 70 years of coexistence – for the perfect symbiosis of man and driving machine. 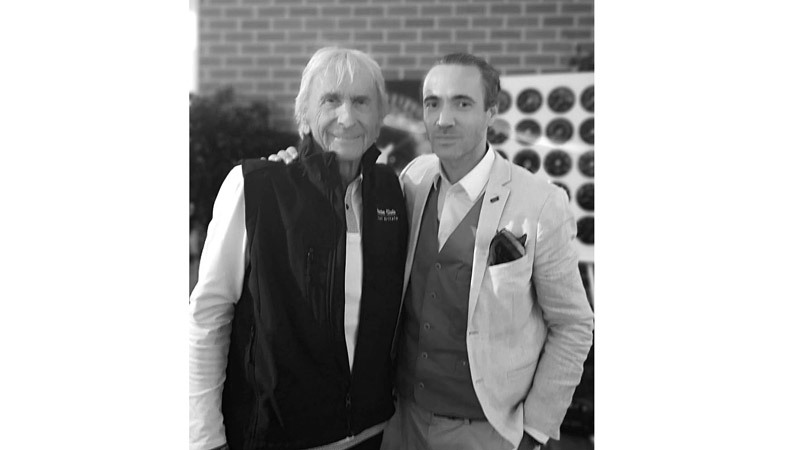 Derek Bell: Bell is best known for winning the Le Mans 24 hours race five times, making him the most successful British driver in the race to date. 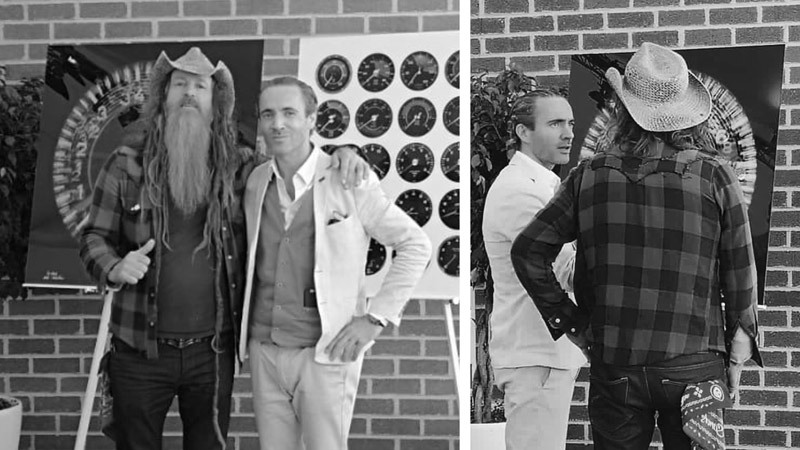 Magnus Walker: Nicknamed the „Urban Outlaw“, he is a British fashion designer and car collector. numbered by the artist, dated and signed. Monday– Friday: 9.00 – 1.00 p.m.
and 2.00 – 6.00 p.m.
Saturday: 10.00 – 15.00 p.m.